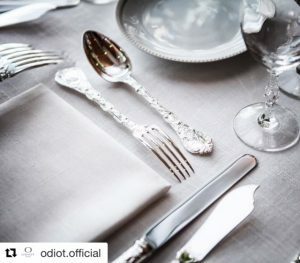 Founded in 1690, the House of Odiot gained notoriety during the reign of Louis XV with Jean-Baptiste Gaspard Odiot, one of the finest silversmiths of his time. The House of Odiot is proud of its exceptionally rich heritage where great events and names stand out as landmark. Witness to this heritage is a unique and invaluable collection of patterns, moulds and drawings. Today, it is a mine of inspiration to the company’s craftsmen who have inherited an ancestral “savoir-faire” and continue to maintain the astonishing virtuosity of their art. 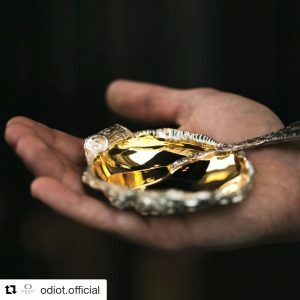 Throughout its history, Odiot craftsmen have made pieces that have always been creatively new and of its own time: by blending audacity and virtuosity with harmony, they continue to sign masterpieces which are present in many of the world’s greatest museums. 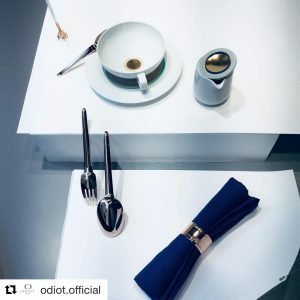 As the House of Odiot continues its journey, its challenge is to continue artistic exploration and innovation, so as to produce ever-new masterpieces reflective of its rich heritage and the changes in taste and style of our contemporary lifestyle. To find a retailer near you to purchase Odiot, please contact us.